February 28, 2018  The D.C. native takes her relationship drama to the virtual world in a new video. August 1, 2017  The one-night stand gets a redux on the debut single from her forthcoming LP. June 30, 2016  The bedroom producer is now a professional musician, with his first proper album on the way. 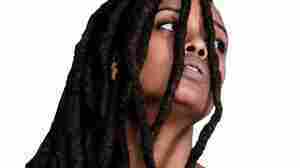 Kelela uses his murky backdrop to sing a beautiful pop song about a romance on the rocks. September 9, 2015  Latest offering from Los Angeles-based R&B singer would fit seamlessly on a compilation album of Miami bass hits from two decades ago. And that's a good thing. December 13, 2013  2013 was a big commercial year for all things R&B and soul music. But you can't exactly call it a banner year artistically.